 Our vision for Maltkiln Village is to create a new community where people of all ages and backgrounds can find a home that meets their needs through the different stages of their lives. We will create a self sustaining new settlement where people can live, work and play. Centred around the existing railway station at Cattal, Maltkiln Village would be based on Garden Village principles – providing up to 4,000 new homes, local amenities and facilities set within extensive areas of open space and landscaping. Maltkiln Village would deliver up to 4,000 new homes of a variety of sizes (from 1 to 5 bedrooms), a variety of types (houses, bungalows and apartments) and a variety of tenures (rent, shared ownership and open market sale). This would include starter homes for those taking their first step onto the housing ladder, homes specifically designed and managed for older people, as well as serviced individual plots for people who wish to build their own homes. Buildings of different sizes suitable for local businesses and employers. Oakgate have been working closely with Johnson’s of Whixley, who would like to expand and modernise their business by relocating locally. This would protect the long term future of the nursery and keep jobs in the local area. The planning application submitted to Harrogate Borough Council is for outline planning permission. Further, more detailed planning applications would be submitted at a later stage and these later applications would define the detail of each phase, including internal road layouts, building positions and designs. Some indicative images are displayed on the website to show the quality of new housing that a new settlement could provide – they are not definite proposals for Maltkiln Village as every development should be designed specifically for its location. Why is a new settlement needed? Harrogate Borough Council is required by national planning policies to prepare a Local Plan that identifies suitable and deliverable sites for the number of new homes that will be required between now and 2035. The Council has consistently included consideration of a new settlement of 3,000 new homes in its growth strategy as part of ensuring that the district’s housing needs can be met during the later stages of the Local Plan period and in future plan periods. Smaller scale piecemeal development cannot provide the same comprehensive approach to planning and delivery as that of a well designed and managed new settlement. The draft Local Plan has now passed the Examination in Public stage and the Planning Inspector, appointed by the Secretary of State, will issue their report during the next few months. Representations regarding the draft Local Plan were considered as part of the examination. The Planning Inspector did appear to accept the principle of a new settlement and its broad location during the Examination in Public, as well as the Council’s use of a Development Plan Document (DPD) process to define the boundary of the new settlement. What is the Council’s current preferred location? The Council announced in June 2017 that Green Hammerton was their preferred location and carried out public consultation regarding locating the development there. However, as a result of further analysis of the various proposals and the required delivery of new housing in the draft Local Plan, the Council published a second report in November 2017, which changed their approach. The Council has decided to use a Development Plan Document (DPD) process to define the precise extent and content of the new settlement, most likely within the area of the overlapping sites proposed by CEG (Green Hammerton) and Oakgate (Maltkiln Village). This DPD is still being progressed in parallel with the draft Local Plan. While we believe that Maltkiln Village would still be the best long term solution to meeting Harrogate Borough’s housing needs and a far more suitable location for a new settlement than Green Hammerton, Flaxby or North Deighton – as it is the only location that is centred around an existing railway station (Cattal) and does not encroach on any existing villages – we fully support the Council’s DPD process. Our decision to submit an outline planning application in advance of the DPD process being concluded was based on consideration of the planning applications that had already been submitted for Flaxby and Green Hammerton (the CEG proposal). The effect of these competing applications is to create a separate route for defining the new settlement via planning appeals and it was necessary for us to ensure that our proposals would be considered on the same basis as those for Flaxby and Green Hammerton should those applications proceed to planning appeals. What about Deighton Grange and Flaxby? Deighton Grange and Flaxby sites are not supported by the Council as options for the new settlement. You may be aware that the owners of the Flaxby site have submitted a planning application for a new settlement there, which seeks to pre-empt the completion of the Council’s Local Plan and DPD process. We believe that the proposals at Deighton Grange are no longer being pursued. Not compliant with any existing adopted planning policy, such as the Council’s Development Plan. Contrary to the Local Plan, which is based on public consultation and evidence collection that identifies a different site for a new settlement within the district. Flaxby does not benefit from direct access to the railway line. In fact, the nearest operational station is over 5km from the Flaxby site and not accessible from the site by public transport, cycle or on foot. Therefore, Flaxby would be heavily reliant on car based journeys rather than more sustainable modes of transport. The community infrastructure proposed at Flaxby is only capable of providing for the day to day needs of the new residents and does not provide for their health needs, meaning residents will need to travel by car to other facilities. The Flaxby site is constrained on all sides and therefore cannot meet future housing needs past the current plan period. 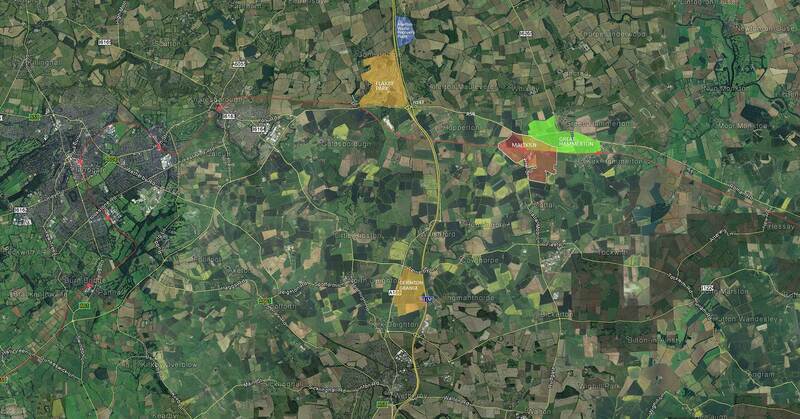 It has been suggested by the owners of Flaxby that expansion could occur to the south west of junction 47 of the A1(M) but it would be impossible to connect the two sites due to the motorway and A168, so they would in effect be two compromised separate developments rather than one effectively planned new settlement. We have submitted an objection to the Flaxby planning application, which can be read on the planning file.